Christ Church Cathedral in Oxford was built in 1160-1200, originally as the church of St Frideswide's Priory. There were plans to replace the priory with a college in 1522-29 but this was stopped in 1532 when the crown took over the property. It became the cathedral of Oxford in 1546 when the diocese was transferred from Osney Abbey after only four years. 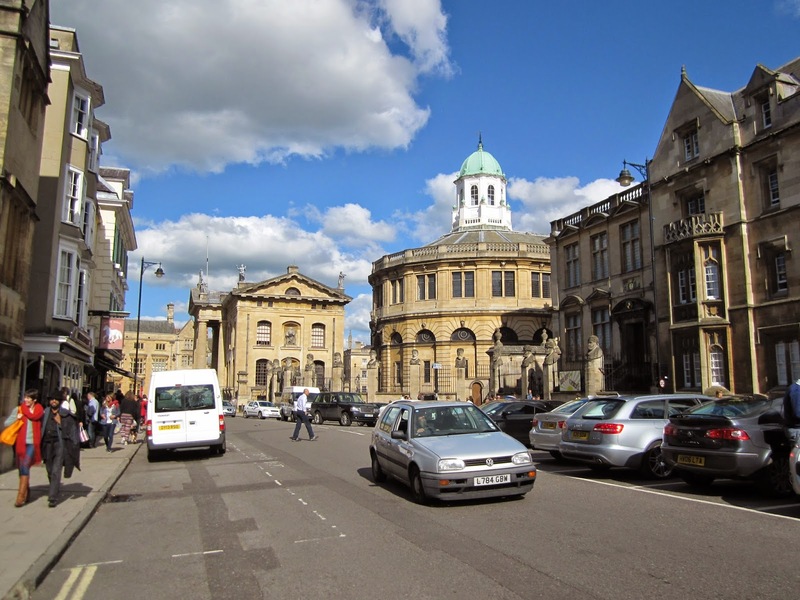 The diocese of Oxford was created in 1542 and previously belonged to the diocese of Lincoln. Christ Church has been said to be the smallest cathedral in England. The Sheldonian Theatre was designed by Christopher Wren and built in 1664-68. The building was originally intended to be used for graduation and degree ceremonies but is today also used for music concerts and lectures. 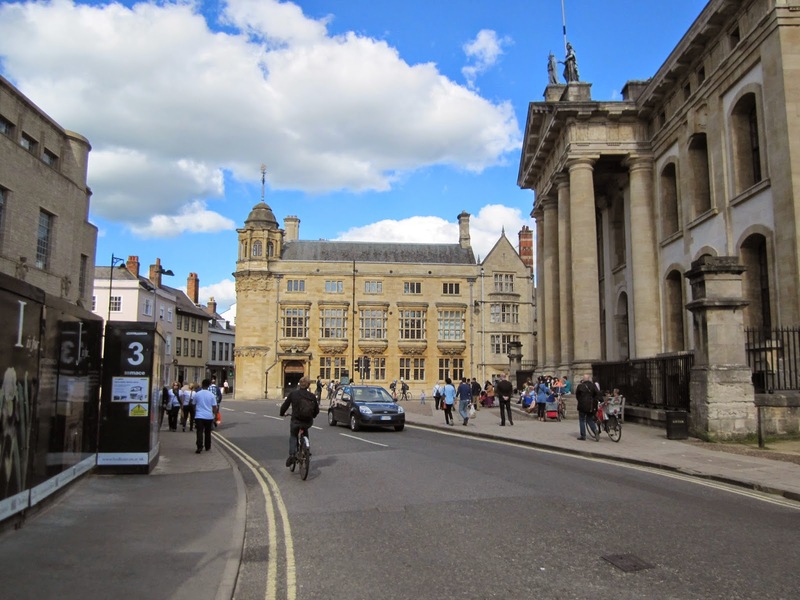 On the right can be seen the Old Ashmolean museum built in 1683 and Exeter College built in 1833-34 and 1856-59 by H.J. Underwood in the first stage of building and George Gilbert Scott in the second. The oldest part of this college is Palmer's tower from 1492. The Clarendon building (right) was built in 1711-15 to a design by Nicholas Hawksmoor. 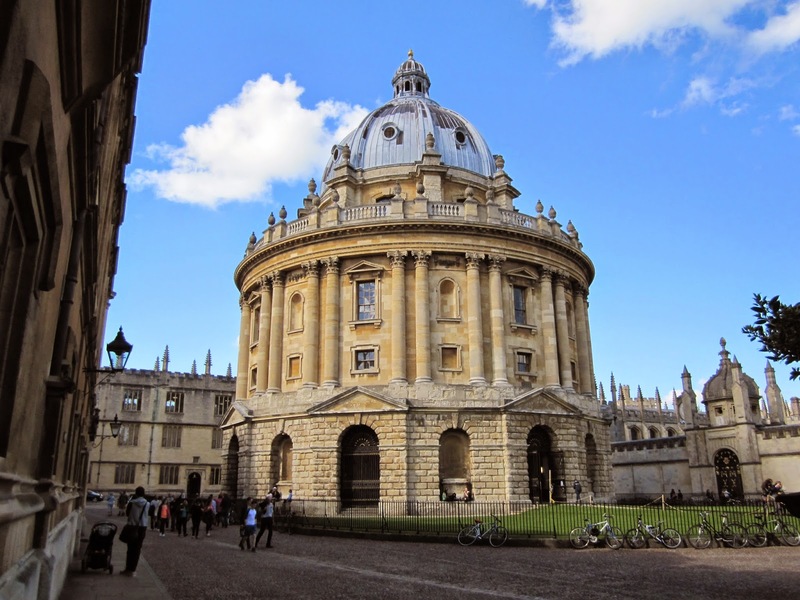 It was commissioned to house the Oxford University Press, previously located in the basement of the Sheldonian Theatre. In the back can bee seen the Old Indian Institute building, completed in two stages in 1884 and 1896. The institute was created to educate aspiring civil servants of the British Raj. The architect was Basil Champneys. The gable on the right belongs to an extension of Hertford College. Radcliffe Camera was designed by James Gibbs and built as a library in 1737-49. In the back can be seen the Bodleian library on the left and All Souls College on the right. The Bodleian has its origins from the 14th century, though most of the existing building is from the 17th, including the tower of the five orders completed in 1613-19. 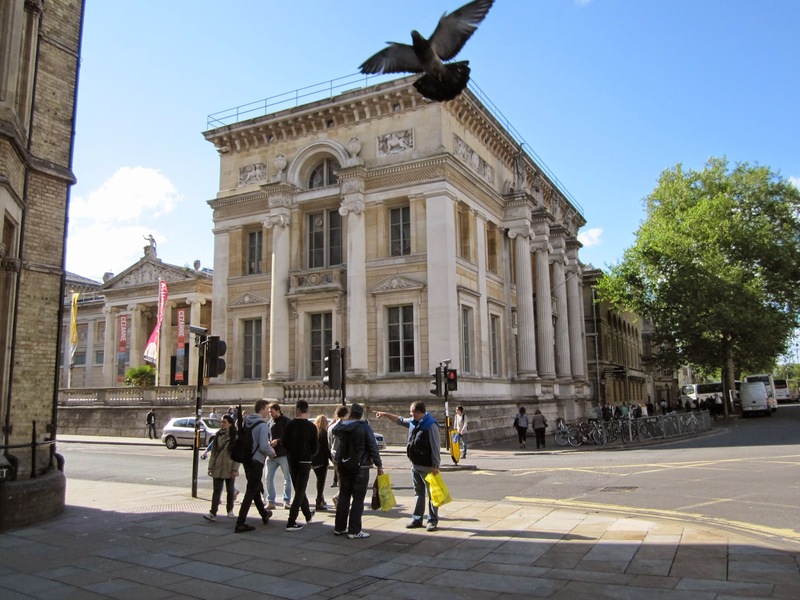 The oldest parts of All Souls was built in the middle ages, though much of it was designed in neo-gothic style by Nicholas Hawksmoor and built in 1714-34. 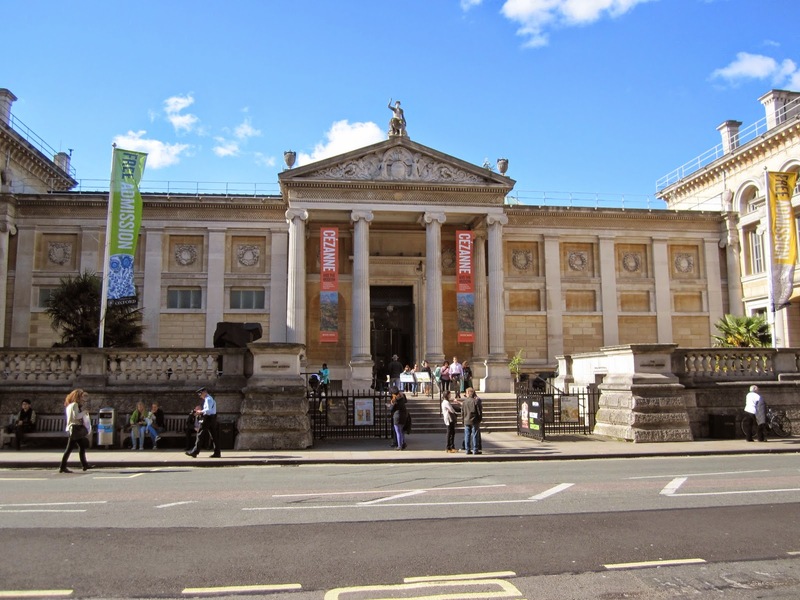 The new Ashmolean Museum was built in 1841-45 to a design by architect Charles Cockerell. The building on the corner of Beaumont and St Giles Street, housing the Taylor Institution, was also designed by Cockerell and built in 1845-48. An extension in Bath stone was completed in two stages in the 1930s. 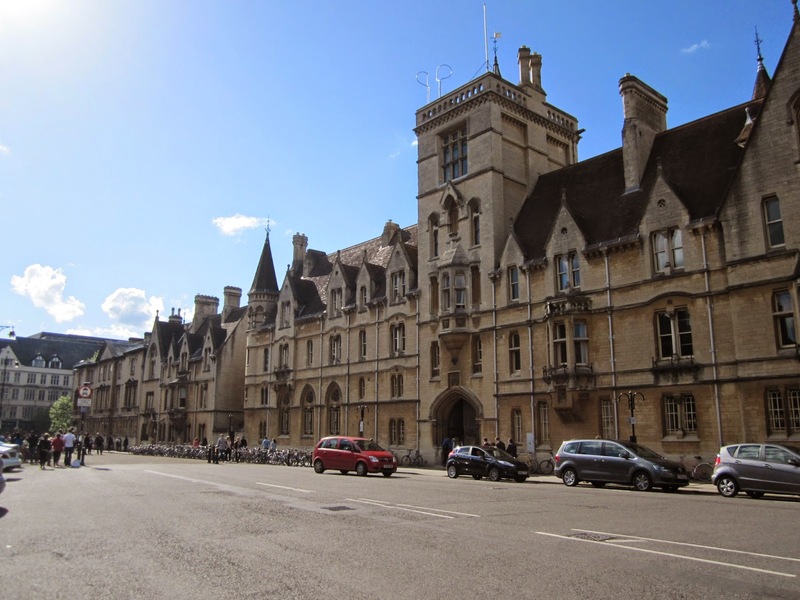 The oldest parts of Balliol College are dated to 1431 but the front on Broad street was designed by Alfred Waterhouse and built in 1867-68. The college chapel was designed by William Butterfield in 1857.